Closeout - subject to inventory availability. 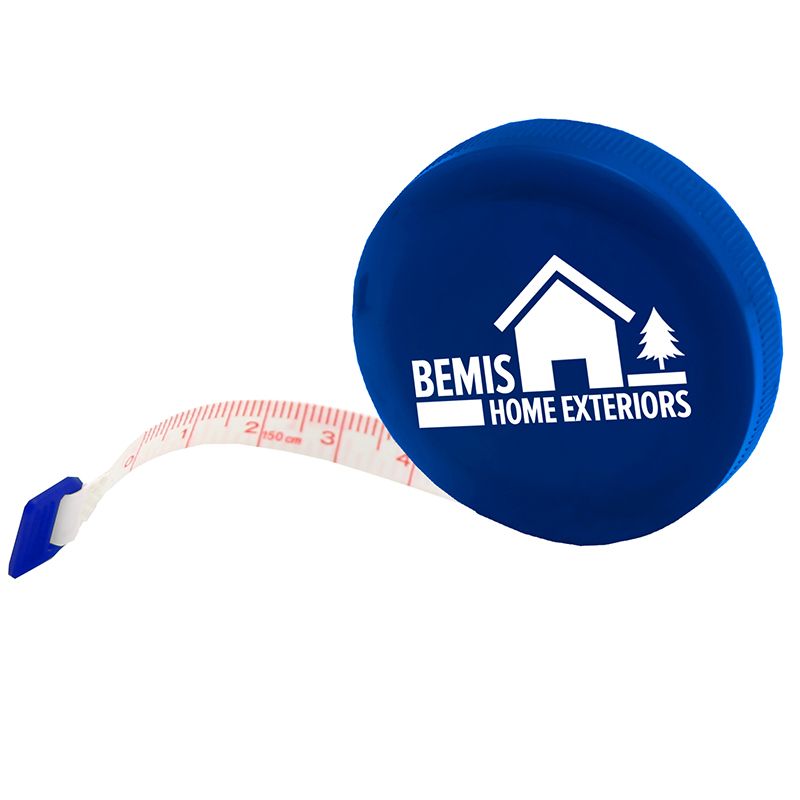 Round tape measure with 5ft / 150cm cloth tape. Automatic rewind button on the back Price includes one color imprint. - Tape Length: 60" / 150cm - cloth tape. - Packaging: Individual Polybag. Requires Prop 65 label for California distribution.